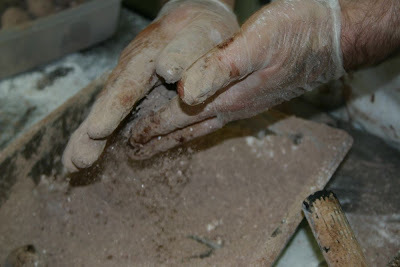 We still roll all of our truffles by hand before we enrobe or in this case roll in organic, vegan powdered sugar. Yummer. That's not refined by the way, that's natural, turbinado and naturally milled. 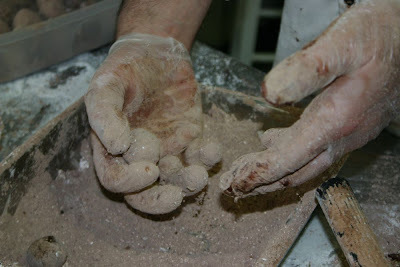 In this picture, I am making the Vegan Raspberry with an organic naturally milled powdered sugar and a natural cocoa powder. Yummer. You wont find this anywhere else but at Life By Chocolate. It's a little messy but not too bad. Lots of fun. Probably the most messy thing I make. 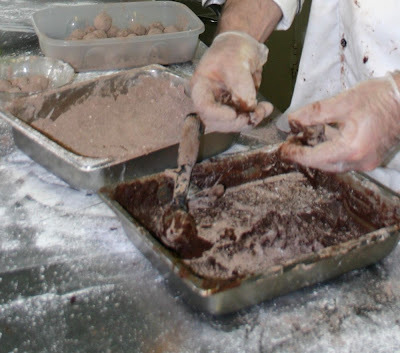 And not easy getting the creamy goodness in a vegan truffle. 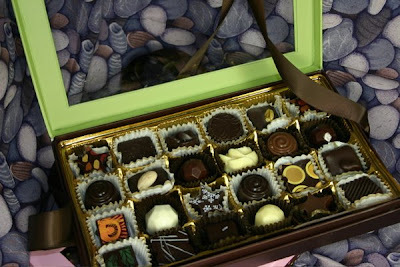 Check out these great box of chocolates. What better gift for Mommy on Mother's Day? Or wife? Or yourself? Enjoy your life, especially your Life By Chocolate. Just go to Life By Chocolates. What are you waiting for?